This is a nice opportunity for a flat, easy beach side run near the airport. 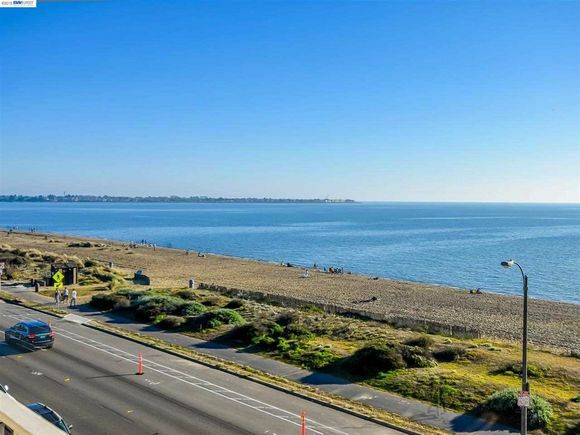 Located on Alameda Island, Crown Memorial State Beach is a nicely restored 2.5 mile beach with sand dunes bordering a bike and pedestrian trail. The run is a combination of trail and path, most of it paralleling Shore Line Dr. It’s a bit over 3 miles, including the park and path, ending at Doolittle Dr. The beach is great for swimming and borders a bird sanctuary. There are separate pedestrian and cycle paths, and views of the water much of the way. The beach itself is runnable — there is usually a strip of fairly firm sand. The northern part of the trail starts at Central Ave., winding its way pleasantly around the harbor. Add-On: Bay Farm Island, just to the south of Alameda. Where Shore Line Dr. curls inland, continue along the path and cross the dedicated Bay Farm Island Pedestrian Bridge to get off Alameda Island. One can do a 6 mile loop of Bay Farm Island, which is marked with Bay Trail signs. Mostly along the water, with Shoreline Park at the northern end.